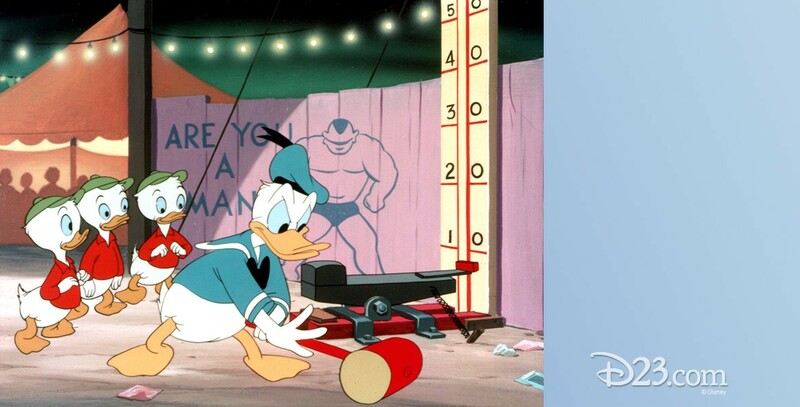 Canvas Back Duck (film) Donald Duck cartoon; released on December 25, 1953. Directed by Jack Hannah. At a carnival, Donald shows his strength on the various “strength machines,” in order to make his nephews proud. When a wimpy boy tells the nephews that his father can beat Donald, Donald doesn’t hesitate to agree to fight, only to discover the father is the hulking Peewee Pete. They fight in the ring, and Donald manages to win.